Is Blackboard meeting current instructional needs? Are there areas for improvement within Blackboard that we can pass on to the company? Are there areas in which additional faculty training is needed? 96% use Blackboard with their traditional face-to-face courses. 33% use Blackboard with their blended learning courses. 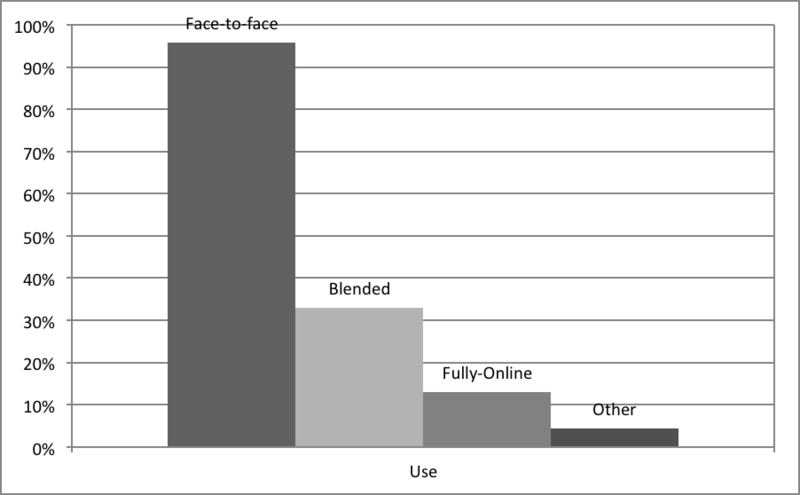 Blended learning is a style of teaching that combines “thoughtfully selected and complementary face-to-face and online approaches and technologies” (Garrison & Vaughan, 2008, p. 148) which should result in a reduction of face-to-face class time. 13% teach fully-online courses on Blackboard. 4% use Blackboard for general departmental purposes and not for teaching a specific course. The 6 (7%) faculty who took the survey but are not using Blackboard indicated they are primarily using email as a tool for communicating with students. Overall, the majority of faculty (74%) who use Blackboard and took the survey were extremely satisfied (12%) or satisfied (62%) with Blackboard. The remaining 26% indicated neutrality (20%) or dissatisfaction (6%), and no one was extremely dissatisfied with Blackboard. 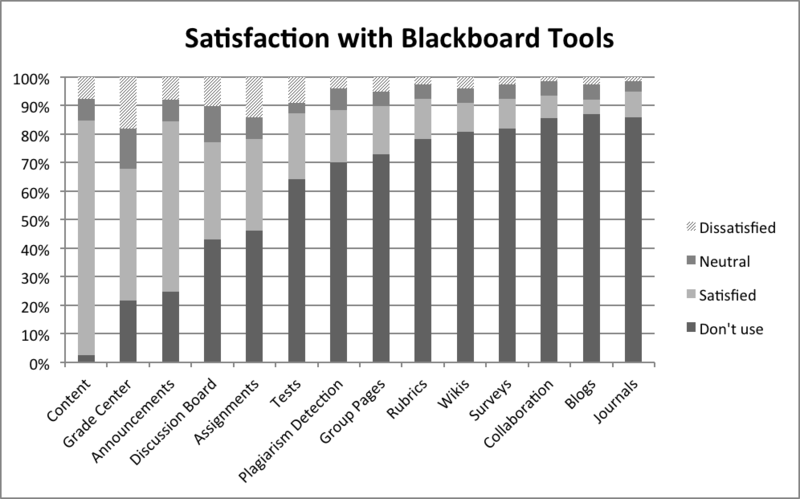 Satisfaction with indivual tools witihin Blackboard is difficult to quantify because many of the features are not being used. The majority of professors are primarily using Blackboard to 1) post course content, 2) calculate grades, and 3) communicate with students via the Announcements tool. Advanced features such as rubrics, wikis, and blogs are not widely used. Are faculty aware of the advanced features? Do they simply need training on how to use the advanced features? Do they even have a need for the advanced features? Are the tools currently available within Blackboard user-friendly or are they too complex and thereby detering faculty from using them? Instead of focusing on adding more advanced features to its system, should Blackboard work on enhancing existing features? Further research is needed to determine the answers to these questions. Despite the expressed overall satisfaction in using Blackboard, some faculty are frustrated with the Blackboard user interface: “It is awkward, not user-friendly, and not intuitive. Many common processes should be done with a single click, but are not.” In Blackboard’s effort to add new features, faculty share that Blackboard has made processes more complex and time consuming: “…they haven’t seemed to streamline the process for already existing options; at least, not in a noticeable way.” For example, the Announcements tool used to allow an instructor to simply type a message and click submit to post it. Now, faculty are forced to choose between “Select Date Restrictions” or “Not Date Restricted” before clicking Submit. In short, more clicks have been added to what should have remained a simple process. On a larger scale, Blackboard continues to make small changes on how menus are laid out requiring faculty to relearn how to navigate their course sites and thereby generating some frustration. Faculty also express dissatisfaction with the basic processes of making a course or item within a course available; they would like to accomplish these tasks with a simple click of a button. 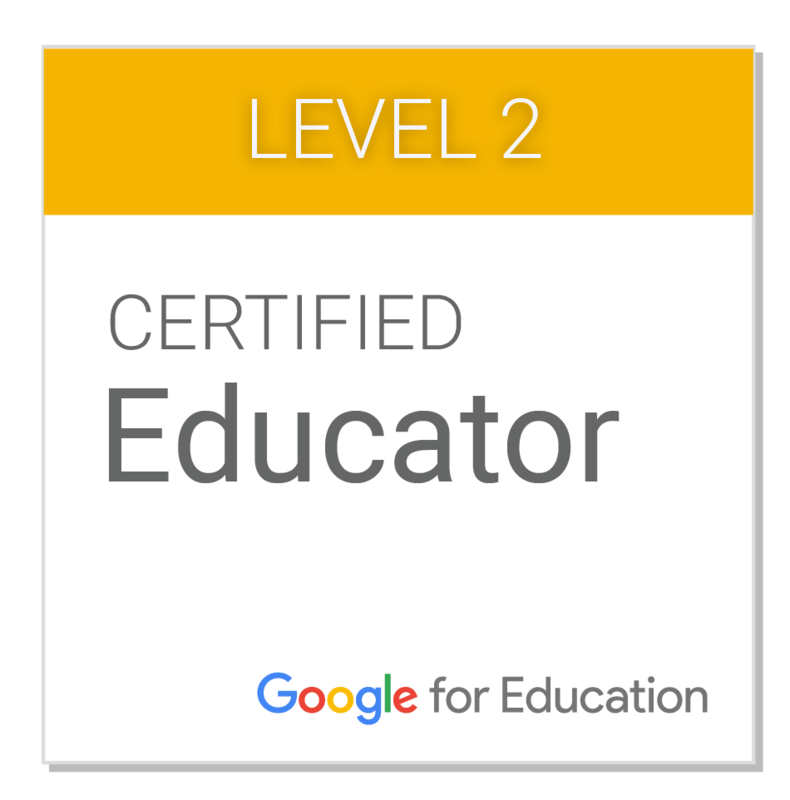 They would also like to edit a document directly within Blackboard rather than have to download the item, modify it, and upload it again; they would prefer something more akin to working with a Google document. Blackboard does offer this feature in a more expensive version of the program. A workaround may be to link to cloud-based documents that can be altered locally. The greatest dissatisfaction expressed by faculty was with Blackboard’s Grade Center: “Setting up Gradebook is too laborious & time-consuming.” Another participant writes, “Weighted grading in Blackboard is clunky and hard to figure out.” Others share that the number of clicks it takes to access assignments and download or upload grades is cumbersome. Faculty would like the Grade Center to function more like Microsoft Excel or Google Docs Spreadsheets where there is more flexibility in freezing panes and filling down scores. Faculty would also like the option to return an assignment via the Grade Center even if it was not originally submitted that way. ITS will share this valuable feedback with Blackboard, alerting them to the needs of faculty. 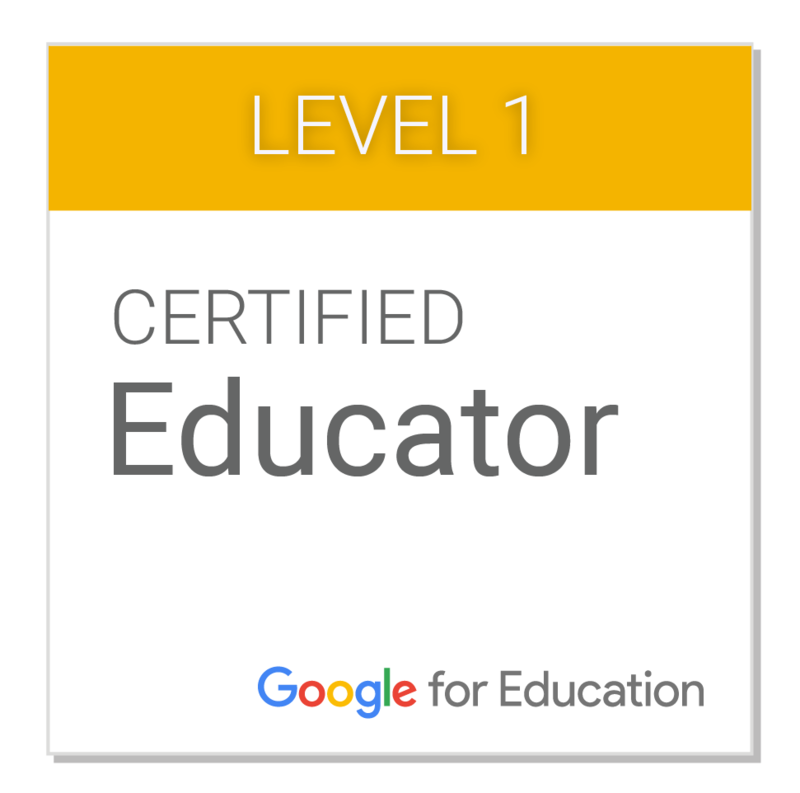 ITS will also look to better educate professors on available tools and how those tools may be utilized to enhance instruction. ITS has created a number of online tutorials and has hosted several workshops on these topics and will continue to expand and improve their documentation, workshops, and just-in-time training. ITS will also continue to explore technologies that are user-friendly and cost effective to improve the teaching and learning experience for both faculty and students. Thank you to all of the professors who took time to provide feedback for this report. Garrison, D. R., & Vaughan, N. D. (2008). Blended learning in higher education : framework, principles, and guidelines. San Francisco: Jossey-Bass. Satisfied with the Basics: 2012 Faculty Evaluation of Blackboard by Sallee, Janiess & Wicks, David is licensed under a Creative Commons Attribution-NonCommercial-ShareAlike 3.0 Unported License. Based on a work at davidwicks.org. Permissions beyond the scope of this license may be available at http://davidwicks.org/about/. What are professors and students saying about new learning spaces classroom?